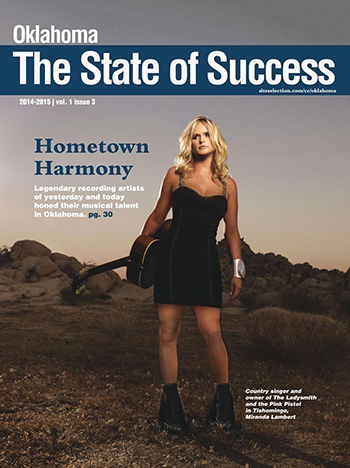 Oklahoma did not become one of the nation's most competitive business climates overnight. Nor did it achieve its lofty status without investing into its workforce. Oklahoma’s Commerce Secretary, Deby Snodgrass, works to grow a base of highly educated workers in the Sooner State. Miranda Lambert’s Pink Pistol and The Ladysmith help breathe new life into Tishomingo. From genealogy to health and wellness, Oklahoma is luring visitors for unique reasons. Recent new franchises, new venues and new affiliations provide top-notch sports competition and entertainment. How regional collaborations have led to continued success.